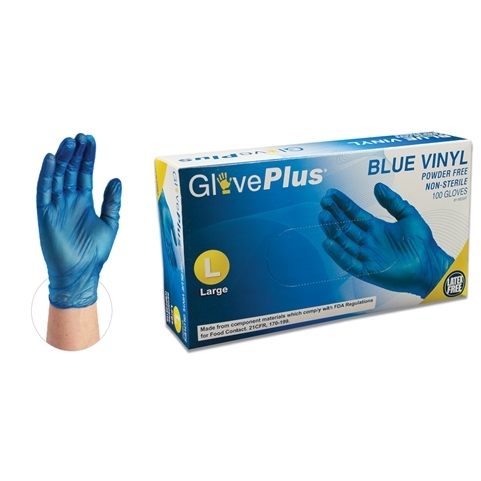 Ammex IVBPF GlovePlus powder-free latex-free industrial grade smooth blue vinyl gloves are industrial grade and excellent when safety counts. The blue color gloves are very visible and make their presence well known. Tensile strength 13 MPa min.